An Endurance Nation Race Resource! 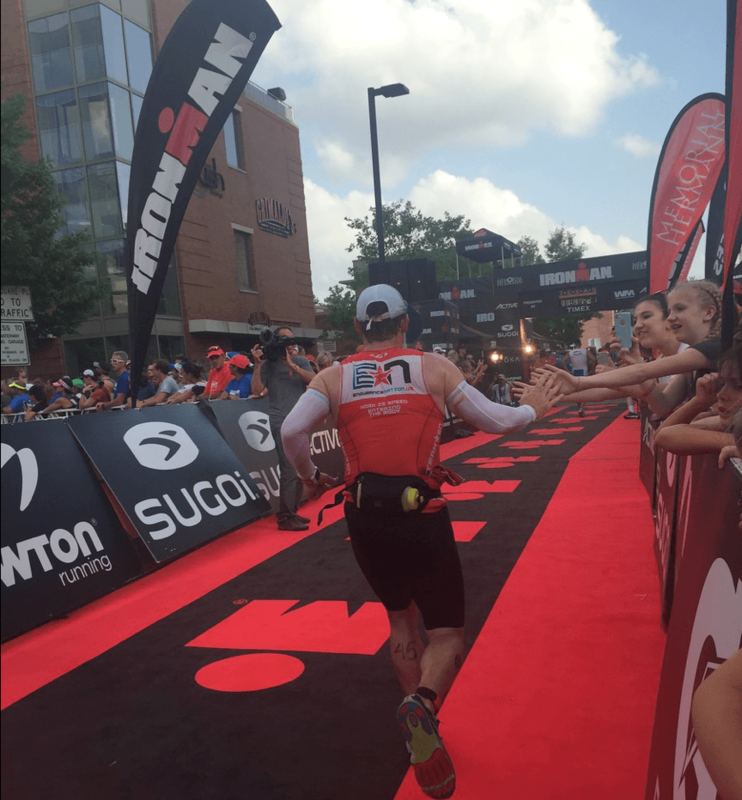 Welcome to the Endurance Nation Race Strategy page for Ironman® Texas! 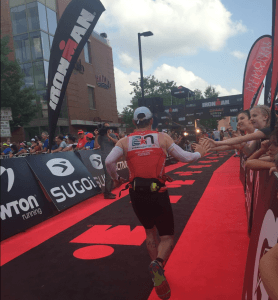 Endurance Nation is five-time Division One Global Ironman® TriClub Champions — no team on the planet has raced more often or as fast as Endurance Nation. Explore this page for some of our guidance, head over to the EN Blog or consider signing up to train & race with us. Plans start at just $47! Click here to pick the right option for you. Our goal here is to get you 100% up to speed and ready to have your best race possible. Every single race is unique, and Ironman® Texas is no exception. From the lake swim to a drag race of a bike ride on a toll road to a unique three-loop run, you will leave with memories as strong as that burning feeling in your quads…guaranteed! Don’t have time to dive into a full review of the course? Then cover the most important highlights in this short video with Coach Patrick from Endurance Nation. A race in early April brings a host of challenges. From indoor training to an early season start, there will be much to handle. And don’t think it won’t be hot — in past years the temperature has averaged in the upper 70’s with a few peaks into the 80s! Our general guidance, for nearly every race, is to bring everything you think may need, even if you’re pretty sure you may not need it! In short, be prepared for any and all weather conditions. The Swim: You’ll need to bring everything. It might be wet to legal, but it also might be wetsuit optional. In its short tenure, Ironman® Texas has seen every possible variation of the swim. So bring the wetsuit, bring the speed suit, and bring a healthy amount of patience to deal with the people who incessantly check water temperature every 15 minutes. No matter what they do, The swim is still going to be 2.4 miles… And it’s still going to be a swim. Tinted goggles also recommended. The Bike: This is a flat and fast course. You will want your full complement of aero racing gear. Even those of you who aren’t trying to win will want aero bars with some form of aero hydration system. You basically want no reason to sit up. This means a disk wheel, aero helmet, race tires, they’re all good to go. Yes, there will be some form of wind, but it’s generally steady off of the Gulf and won’t represent anything that should cause you to worry with your aero set up. For gearing, we nearly always recommend a compact crank (50/34) or “super compact” (52/36) if you’re a bit of a stronger rider on an 11-speed bike. Everyone should have at least a 25t cog on their cassette (for example, a 25-11 for stronger riders), with less strong riders always benefiting from a 28t or higher (for example, a 28-12 cassette). In the case of Texas, you can get away with a smaller cassette with bigger giving options. Elite cyclists could go with the 54 or 55 front chainring… Make your gear choices wisely! The Run: You will want to choose the gear that you can easily handle the heat in. It will need to have pockets for carrying nutrition, and plenty of zippers so you can reduce any accumulated heat. A hat is recommended, of visor at a minimum – there are plenty of places on this course with no shade. If you aren’t carrying your own fluids with you, then plan on transporting salt at a minimum so you can keep your gut happy. Plan on a race number belt with pockets to carry salt/fuel. You can access your Run Special Needs bag only once each of the three loops, so choose wisely. The Ironman® Texas swim is a single loop with a rolling start. You self-seed and wade in to start the swim. The course runs out and back, first South then North, with the final 1/3 in a canal (heading East). So only the canal really has vision challenges, but it’s a canal — you’ll know pretty quickly if you are off course. The water is generally warm and there’s usually only one opportunity to practice swim. We don’t recommend you use that opportunity as it’s on the same day as bike drop off and check in. >> View the online swim map here. Make the RIGHT right turn (#2) on the way back to head into the canal! The Ironman® Texas bike course is completely new for 2017. After much haggling and arguing and politicking, the course has settled on using the Hardy Toll Road as the foundation for the ride. So you’ll have about 10 miles of “admin time” before starting the out and back leg. You do that twice, and then repeat the admin riding in reverse back to transition. There are no hills to speak of, so expect a crowded course; it will take some time (read: two hours?) for the course to spread out noticeably, especially for you swimmers in the 1:10 to 1:25 range. Be prepared to ride with caution, particularly at the Aid Stations! We’ll want you to ride within yourself for the first 30 miles, which corresponds to a unique curve in the Hardy Toll Road (a good visual cue). During this time you’ll be ramping up your nutrition based on the forecast and settling your heart rate. From that point on your can bump it up to a steady Zone Two effort. Due to the flat course, you’ll likely need to stand up a for a few pedal revs just to stretch – we recommend timing this on the 30-minute mark so you don’t forget. The last return trip is just under 30 miles, but you should have some form of wind at your back..so keep the pressure on the pedals and be sure to monitor your nutrition in relation to the changing conditions! >> View the official bike map here. Start that nutrition right away…it gets hot quickly here! Resist the urge to hammer out of the gate…get your Heart Rate down and then lock in your Steady pace. Focus on catching folks over the final return trip into town. The Ironman® Texas run course is three loops alternating between the road, sidewalk and canal path. You’ll either have plenty of spectators (downtown) or no one at all (the other side of the lake) but you are guaranteed to be hot. The flat run course has enough twist and turns to keep you from going crazy. It’s nice to be able to see so many of the runners at the few out and back / loop sections of the course; that should keep the energy up. You’ll notice some false flats (especially as you get tired) but the only truly “up” portion of your day is the slight hill turning off of Majesty Row (miles 6, 14, and 22). We recommend you break the run into thirds, using the first lap to get settled and really nail your nutrition. Lap Two transitions to Steady as your desire to eat fades…and Lap Three will be your true gut check! >> View the Run Map here. Smart out of transition to keep your heart rate down! Choose gear and a pace that support your heat management plan. Extra salt in case you need it. Finish strong on the last lap! Endurance Nation is the world’s leading age group coaching service, with more than 700 active members saving time and building fitness for their next big race. Create a free trial to get your personalized season plan and begin preparing for your next big race with our community, resource library, discounts and much more!